Want to give your salespeople the best chance to win? Then you need to take sales enablement seriously and provide them with the most relevant information, content, tools and training to both match the buyer’s journey and outmaneuver the competition. Sales enablement is about giving your salespeople the information, content, and tools they need to sell more effectively: to increase pipeline, win rates, and deal sizes. If your salespeople don’t know what they need (or should) know, they’re dead in the water. It’s up to you to make sure they have access to the information-on your products, the competition, new customers, updated pricing, etc.-they need to plot their course to the win. As the saying goes, content is king. 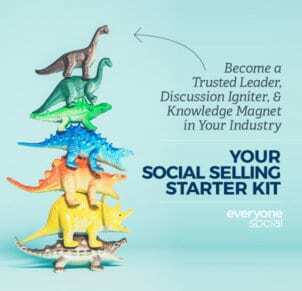 In order for your salespeople to make their mark in the mind of a prospective buyer, they need to share content that connects with that buyer’s interests. They also need to tools to share that content, and that doesn’t just mean email. Social sharing tools are critical as well. There’s more data out there on whoever it is you need to reach than ever before. The world of prospecting tools and databases is rapidly evolving, which means it’s critically important that you stay on top of and provide your people with whatever the best-of-breed solutions are at that point. Teach a man to fish… The whole world of sales is in a state of flux. Strategies, tactics, channels, tools, etc., are changing with every month. Providing your salespeople with continuing training and coaching is the only way you’re going to ensure they stay ahead of the pack. In many ways, sales enablement has similar responsibilities to marketing when it comes to tracking and reporting. To really understand what’s working (and what isn’t), and how to improve you need to have data and it needs to be as holistic as possible. It should also tie back to basic, core objectives, most commonly pipeline, win rates, and deal sizes. Research by Aberdeen has shown that 84% of sales reps at companies with best-in-class sales enablement strategies achieve their quotas, compared with 55% at companies with average strategies and 15% for companies with weak strategies. 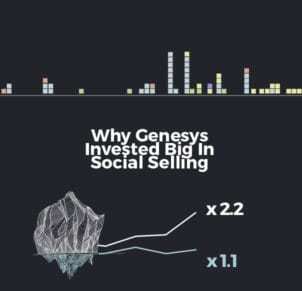 Genesys, a software company with over $1B in revenues saw a 2x increase in pipeline, a 16% increase in win rates, and a 42% increase in deal sizes as the result of their sales enablement efforts. High-performing sales teams are 3.5x more likely than underperforming teams to use sales analytics, which is defined as basic data and insights, prospect and customer feedback. High performers are 2x more likely as underperformers to use or have plans to use a mobile sales app. It’s projected that use of mobile apps by sales people will more than double in the next two years. Organizations that are rising to the top are those that have mastered a holistic customer approach – they know that today’s sophisticated buyer has an equally unique relationship with your business that includes sales, marketing, and customer success. High performing team maximize technology to meet the demands of today’s sophisticated customers; high performing teams use nearly 3x more sales technology than underperforming teams. How do you up your sales enablement game? Regardless if you’re new to sales enablement or already have dedicated function in place, there’s always room to improve. As outlined above, there are a handful of primary components to a solid sales enablement stack. 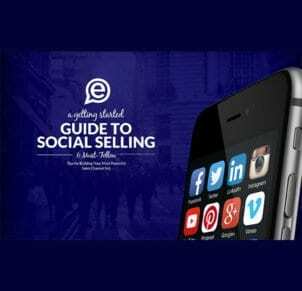 Assuming you already have a CRM in place (e.g., Salesforce), the typical next step is to put prospecting, content, and engagement solutions in place, such as EveryoneSocial which is used by top-performing sales teams at companies such as Dell, Adobe, ADP, and Genesys. Request a demo or check out one of the sales enablement resources below. We’d love to help. Sales Enablement: Don’t Forget About The Content!